The GC32’s will remain afloat from Tuesday 21st August to Tuesday 30th August. To accommodate the GC32’s, the main Pay and Display pontoons will be closed between 0900 hrs Tuesday 22nd August and 1700 hrs Tuesday 29th August. Mariners are advised that there will be limited mooring in Graving Dock No 3. Mooring will be subject to the terms and conditions displayed and with permission from the on station Harbour Patrol Vessel. 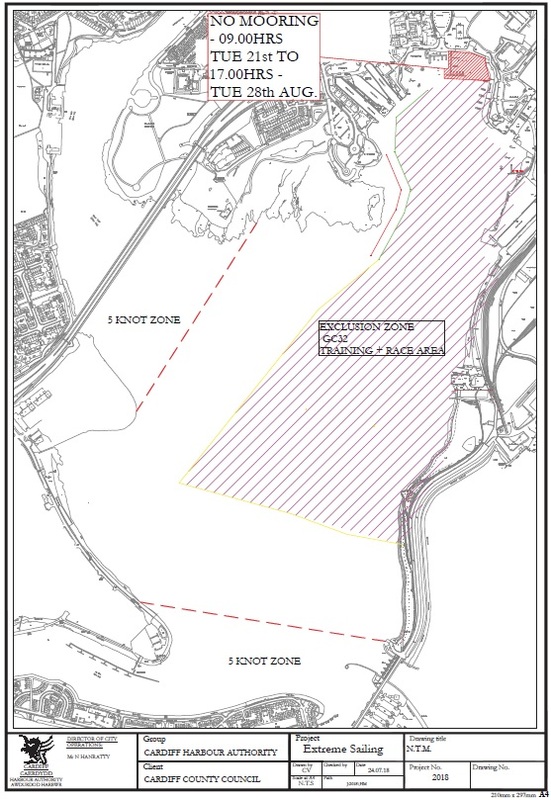 There will be NO public access to or from the Inner Harbour (Graving Dock) during the exclusion zone times.